Trophy Club Atlanta is the idea choice in Atlanta to host your outing/tournament. Whether it is a large corporate event, charity fundraiser, competitive golf event or a small group event, we take great pride in being able to accommodate each event’s needs through our personalized service. From our award-winning golf course to our banquet facilities, Trophy Club Atlanta has everything to make your event a success. From planning to preparation, our tournament professionals provide personalized service and help take care of the details that will make your event unique and memorable. Trophy Club of Atlanta is an award-winning 18-hole, par 72 course that features 4 distinct tees, water on 13 holes, and challenging bunkers defending narrow fairways and Champion Bermuda greens. 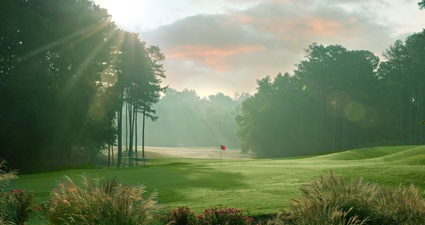 Enjoy outstanding golf on one of Atlanta’s best golf courses. Trophy Club Atlanta offers premier banquet facilities with beautiful views of the golf course. We have a full-service kitchen and bar to meet all of your food and beverage needs. Our friendly staff is here to make sure your guests have an enjoyable experience and to provide impeccable customer service.